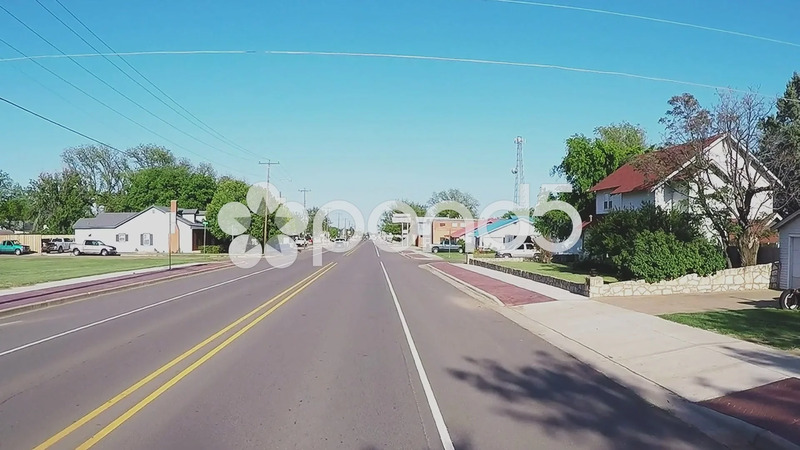 Description: Point of view driving vehicle shot of entering a small North Central Texas town in Paducah Texas. A driver arrives in a country town along a single lane roadway. Part of a series of clips by ChromaVid featuring point of view vehicle driving shot.